The Caring for Creation Committee is the Committee that supports Gloria Dei’s Covenant for the Care of Creation, which is found below. For questions regarding the content of any of our communications, desire to join this ministry or suggestions that the team can consider, please contact our pastoral leader Pastor Javen by email at prjaven@gloriadeistpaul.org or by phone at 651-699-1378..
What each of us can do to reduce our impact on the environment. What we are doing to reduce the church's environmental footprint. The church’s concern for God’s creation is shaped by the creative word of God, the love of God hanging on a cross, and the Spirit of God daily renewing the face of the earth. Caring, serving, keeping, loving, living by wisdom and compassion – these translate into striving for justice in social, economic, political, and environmental matters. Therefore, the governing body of our congregation affirms the importance of healing and defending creation to our mission as God’s people. Get involved in our communities, our state, our nation, and the world, to promote policies that foster injustice and the wholeness of God’s creation. 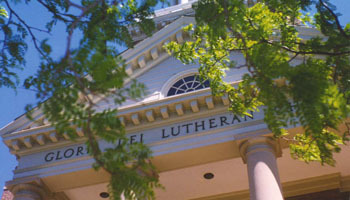 Through this covenant, Gloria Dei Lutheran Church claims the promise of “a new heaven and anew earth.” (Revelation 21:1) We dedicate our congregation’s life to the care and redemption of all that God has made, for the sake of Jesus Christ who lived, died, and was raised for us to reconcile us and all creatures of God. The GDLC Caring for Creation Team is engaged in the Highland water reservoir proposal review process. 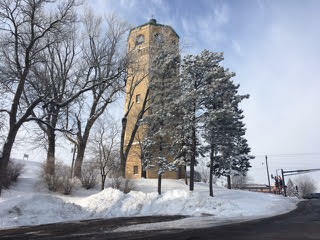 St. Paul’s Board of Water Commissioners and the City Council are addressing options for the 4.3 acres south of the historic Highland Water Tower, where two reservoirs are scheduled to be demolished. The land is now slated to become recreational space. We are asking for consideration of solar power within this plan. Our engagement is aligned with Minnesota Interfaith Power & Light (MNIPL) and several other St. Paul churches. Read entire article here. Along with MNIPL and several other southwestern St. Paul churches, the GDLC Caring for Creation team is learning about how it can support the update of rules governing the installation of large solar gardens within the city of St. Paul. We are researching the project Minneapolis has launched to install solar on a number of its retired reservoirs. 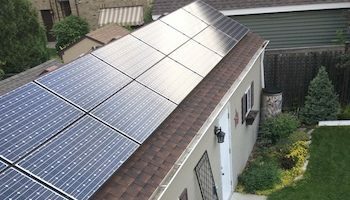 We believe that this is an important step to future opportunities for St. Paul to build community solar gardens, thus helping provide a solution that advances the goals of sustainability and climate justice. Minnesota Interfaith Power & Light (MNIPL) is an interfaith community co-creating a just and sustainable world. They work with faith communities to build the interfaith climate movement in Minnesota by empowering faith communities across the state to take action. MNIPL is challenging individuals and organizations to take the “Beyond Paris” pledge. They provide leadership development programs and action opportunities,using a three-legged stool engagement process to include practical, systemic and spiritual/relational. To learn more about this organization, pursue training and volunteer opportunities and/or receive their monthly newsletter, go to MNIPL.org. The Caring for Creation team will occasionally post engagement opportunities in our blog posts. On January 10, 2018, Erin Pratt, Program Director of Minnesota Interfaith Power & Light (MNIPL), and Emily Miller, Youth Leadership Team member at MNIPL, led a J-term confirmation program. About 100 participants considered a favorite place in nature that provided an impactful moment in their respective lives. We then discussed what climate change is and our feelings about it. It concluded with a call to action that we use our faith and gifts to take action by getting involved, to change behavior and to know that our actions magnify. Caring, serving, keeping, loving, living by wisdom and compassion - these translate into striving for justice in social, economic, political, and environmental matters. Therefore, the governing body of our congregation affirms the importance of healing and defending creation to our mission as God’s people. As a covenant congregation, Gloria Dei Lutheran Church will: Study and Learn about God’s marvelous creation and our responsibility to God and our place in creation; Pray, Preach, and Worship so that our environmental activities grow out of biblical faith, reverence, and love for God’s creation; Make congregational and individual lifestyle changes to better model our concern and care for creations; and Get involved in our communities, our state, our nation, and the world, to promote policies that foster injustice and the wholeness of God’s creation.